Are there leaks or standing water anywhere— kitchen, basement, attic? Is there an attached garage or basement where cars, lawnmowers or motorcycles are stored?Are household chemicals, paints or solvents stored indoors or in an attached garage or basement? Have you recently remodeled and painted, or added new furniture and carpeting? 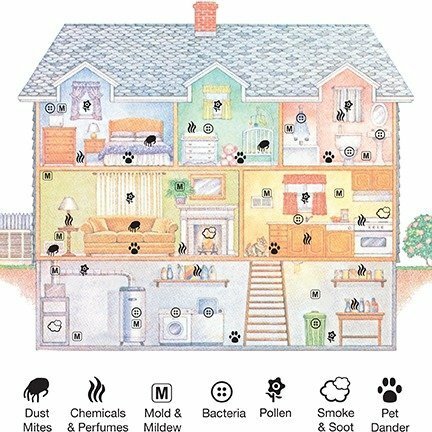 Do you have indoor pets, or allow outdoor pets inside your home?